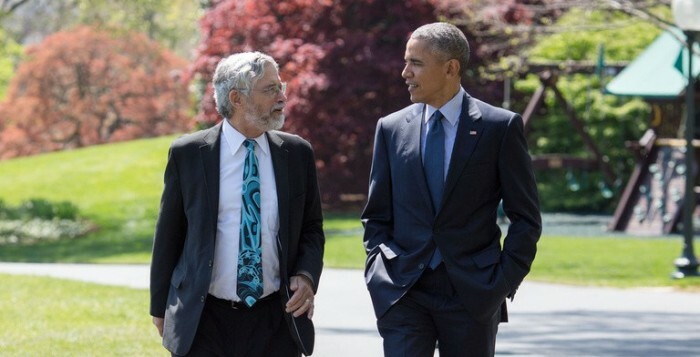 John Paul Holdren is a Climate Change Expert and he was the Chief Science and Technology advisor of President Barack Obama during both terms. I had an interesting talk with him about climate change. What do we know about climate change? How are we responsible? What are the consequences ? John says that for the coming 10-20 years the temperature will continue to rise, but it is up to us how fast. Why does a difference in 2 degrees Celcius matter so much? What do we need to do to slow down the temperature rise? How did the temperature awareness change over decades since the 60’s? Next week we will highlight John’s talk of how it is to work with former president Obama and we will discuss the Paris Agreement & president Trump, so stay tuned! John Holdren presentation slides on “Climate Change and the Cape & Islands: What We Know. What We Expect. What We Can Do.” in Nantucket. John Holdren also gave an interesting talk at Brown University. The slides of the talk at Brown University can be found here. ‘Why Wall Street Matters’ and why the next financial crisis is near! Tesla Q2, Hackathon India, Obama Science & Technology Advisor on Climate Change and next financial crisis?